ChildChild age: 4-12 years. Under 4 free. Key West Aquarium: Key West's first attraction. 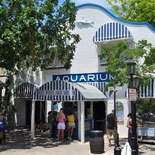 The aquarium, built in 1934, features the turtles, sharks, game and tropical fish that are native to the waters of Key West. Touch Tank feedings and guided tours. Key West Shipwreck Treasure Museum:Step back to 1851 and discover the treacherous world of shipwrecking and how it made Key West the richest city in the United States. 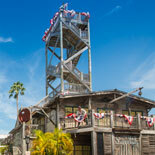 Live actors, artifacts, laser technology and a 60' lookout tower make the experience one of a kind! The Aquarium features a wide variety of fish including grouper, moray eels, barracuda, tropical fish, tarpon, parrotfish and much, much more. Step back in history 150 years. Climb a 65' Captain's Observatory. Discover the undersea world at the Key West Aquarium. A Window of Wonder comes alive as expert guides explain the mysteries of the water surrounding the Florida Keys. Daily shark and turtle feedings and the Touch Tank offer guests hands on experience with the sea life of the surrounding waters. The Aquarium features a wide variety of fish including grouper, moray eels, barracuda, tropical fish, tarpon, parrotfish and much, much more. At The Shipwreck Museum, discover the perils of the shipwrecking industry as you journey back in time to 1851. See how the rewards of this dangerous profession made Key West one of the richest cities in America. Artifacts, laser technology, video presentations and live actors as well as a 65-foot observation tower make the museum a unique experience. See and hear film clips, interviews and actual underwater footage in the re-created shipwrecker's warehouse. Experience the mesmerizing tale of the Isaac Allerton, one of the richest shipwrecks in the history of Key West. Many of the artifacts on display come from her watery grave. Summon all your strength to lift a silver bar salvaged from a Spanish galleon. Learn about Asa Tift and other individuals who made their fortunes in the exciting and perilous world of wreck salvage. Then climb to the top of the lookout and imagine yourself spotting the wrecks of Spanish galleons and turn-of-the-century cargo ships like the wrecking captain's of old. Key West Aquarium: Daily. 10 am to 6 pm - 365 days a year. 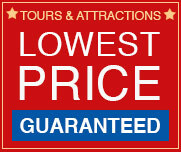 Tours offered every half hour starting at 10:00am through 5:00pm. 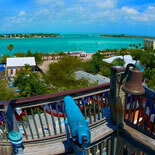 Key West Shipwreck Museum: Mon - Sun: 9:00 am to 6:00 pm, 365 days a year. Last entry at 5:00 pm. Tower closes at 5:30 pm and Museum closes at 6:00 pm. Child Ticket: 4-12 yrs. of age. Children 3 yrs. of age and younger are free. 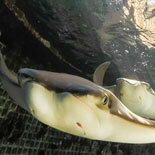 Aquarium Shark Feeding: 11am, 1pm, 3pm & 4:30pm. Tours offered throughout the day from 10:00am to 5:00pm. Tour length is 20 minutes. Reservations are not required. 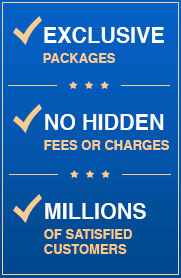 For more information call: 305-296-2051.